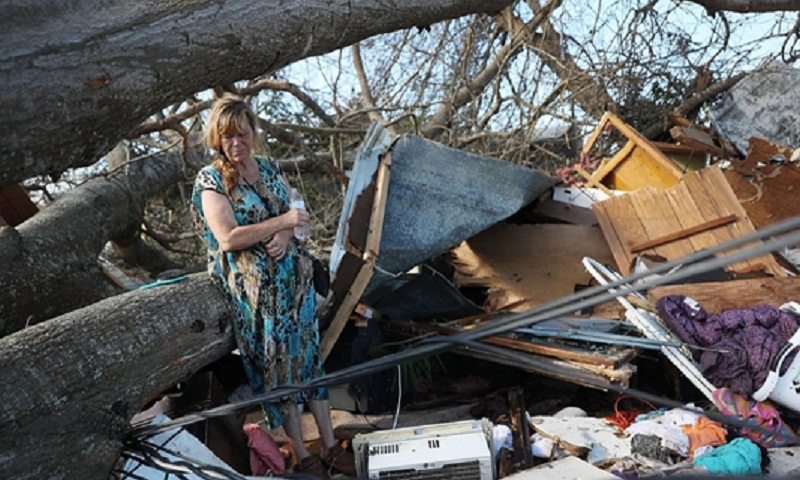 The death toll from Hurricane Michael rose to at least 16 on Friday amid fears it would continue to climb as search-and-rescue teams scour the debris of the Florida town that bore the brunt of the monster storm. “Mexico Beach is devastated,” Florida Governor Rick Scott said of the town where Michael made landfall as a Category 4 storm on Wednesday. “I hope we don’t see it climb dramatically but I have reasons to believe we still haven’t got into some of the hardest hit areas,” he said. “What’s happening is search and rescue is trying to get into the rubble to make sure that there’s nobody covered up, trying to assess if there’s additional casualties there,” Long added. Dozens of structures in Mexico Beach — homes, shops and restaurants — were lifted off their foundations by storm surge and 155-mile per hour (250 kph) winds and moved hundreds of feet inland or smashed to bits. “You hope that somehow at the last minute a bunch of people got up and left or went somewhere else,” Florida Senator Marco Rubio told CNN. Bob Tenbrunson, a Mexico Beach retiree, rode out the storm at his daughter’s house in nearby Panama City and returned to survey the damage to his home. “I was going to stay here until it turned to a Cat 4,” he said. “So I followed the mandatory evacuation order and left with my wife. Others came with nothing — as there was nothing left to save. US media on Friday quoted authorities in Jackson County, Florida, as reporting three deaths there, bringing Michael’s toll to at least 16.